November 21, 2016 By JRL, Esq. 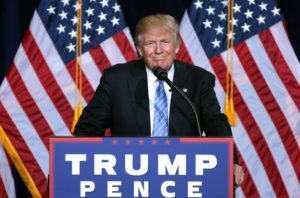 Along with Donald Trump’s surprise victory, even for many of those who voted for him, comes a great deal of speculation over the various policies that President­-Elect Trump proposed during his campaign. Among the things that he proposed were wide-ranging changes to the country’s tax system. For the one-percenters, these changes could be significant. And this is especially true regarding the federal estate tax. President-Elect Trump has discussed repealing the estate tax. This is something that many Republicans have wanted to do for a long time. Historically, the estate tax has not been a significant revenue raiser. Rather, the estate tax has been viewed as accomplishing the social objective of preventing the concentration of wealth, or at least limiting it. Arguably, it has not done a very good job of this. If the Republicans and President-Elect Trump are able to effect the repeal of the estate tax, it is unclear whether they would be able to make it effective January 1, 2017, or the following year in 2018. If it is repealed, there will, in all likelihood, be changes to the income tax as well to help offset the loss in revenue. This may be in the form of a capital gains tax that would be paid at death, or a carryover basis. These possibilities will be discussed in a future blog post. Although Republicans have control of the Senate, it shouldn’t be assumed that all Republican senators will vote for complete repeal as some are from liberal states and will be held accountable. More importantly, because of the “Byrd rule” in the Senate, a tax bill if passed by a majority but fewer than 60 senators automatically sunsets in 10 years. That is why the first attempt at phasing out the estate tax in 2001 failed. And there is always the threat of the filibuster. Consequently, even though the permanent repeal of the federal estate tax is more likely now than ever before, there are still many uncertainties that remain. And if it is not repealed, there are ways to eliminate or greatly reduce the estate tax.